Could you please post the source of the picture? Origin must be Contina (or Contina employee) because the base plate is not numbered. I assume that this is not a disassembled Curta - it's more like a collection of 32 single parts (as described). Well when its labelled a demonstration unit, and there is no unit to demonstrate on it, I would call it a "Demo" scam.. Oh wait I did. Sure its a salesman sample, a collection of parts, but its not a demonstration unit. there is no working model. 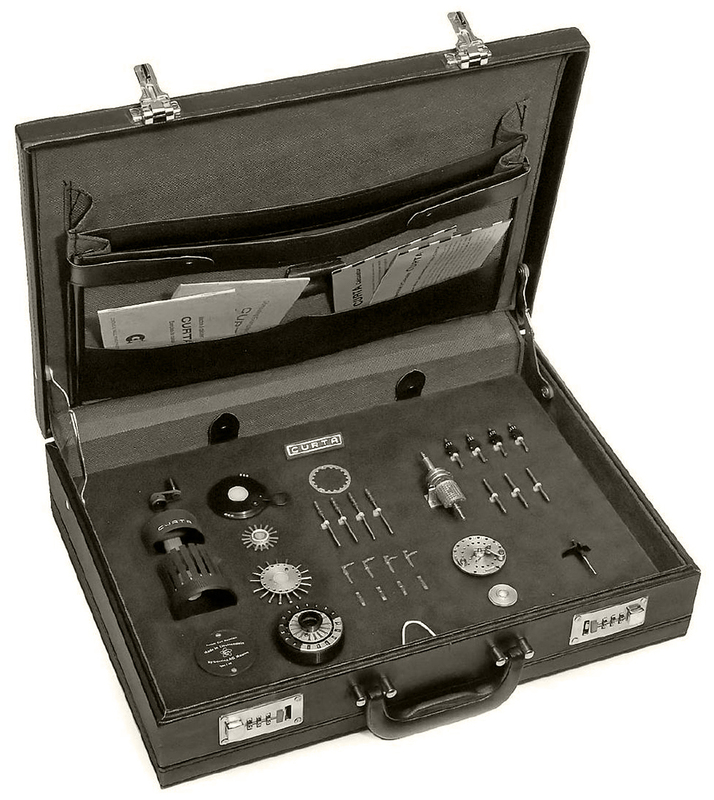 Salesman's travelling case containing individual components and four brochures in French and English. A rare exhibition and/or sales model in excellent condition.